Posted on January 28th, 2015 by Shannon. The idea of volunteering in a Buddhist monastery in Nepal came to me as a surprise. I had spent the better part of two years traveling the world, after becoming disenchanted with a career as an accountant working long hours. I had just completed my postgraduate qualification, when I gave notice of my resignation. After six months in Europe, and three spent driving around the United States, I flew to Canada to live and work in the Rocky Mountains. As that adventure drew to an end, I found myself back home in Australia, more lost for a plan then when I started. I lasted 11 weeks at home, before my new partner and I boarded a plane to Nepal. 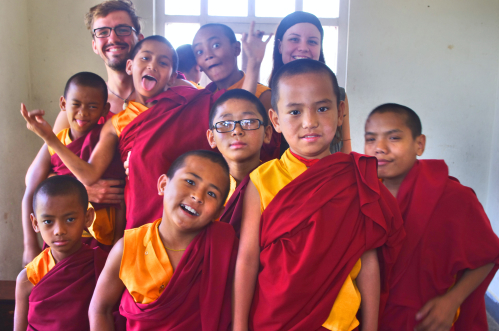 Volunteering was an easy decision—we both wanted to experience the culture first-hand and to travel in a different way than just backpacking through the world—so the chance to live, teach, and spend time with monks in Nepal was too good to pass up. Unmoved by the numerous companies offering to organize every detail of the volunteering trip for a hefty fee, we relied instead on other volunteers blogs, particularly as we wanted any fee we paid to benefit the monasteries directly. In my research, I came across Grassroots Volunteering, which was incredibly informative, with Shannon answering our questions and putting us in contact with the monastery where she had volunteered. We contacted many monasteries about volunteering opportunities, and we found them all by simply using Google maps and the zoom function. 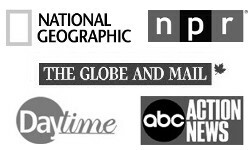 The majority of monasteries had a web presence, however limited it was. We offered twenty monasteries our time, with about ten getting back to us (eight of which were already booked with volunteers and two which were happy to have us). After doing some trekking first, we arrived at Khawalung Tashi Choeling Monastery in Kathmandu in May, 2014. 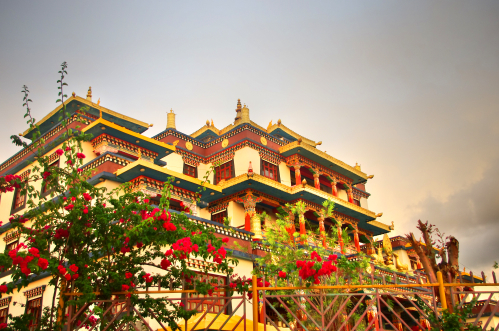 Founded in 2005, the monastery was designed to uphold and preserve the general Buddhist teachings. 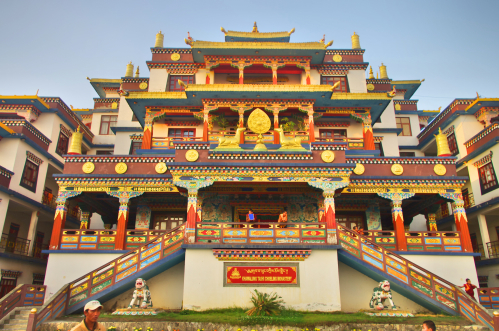 It houses an elementary and training school for young monks from the very remote regions of Nepal and Tibet. Aside from the religious education, all monks receive food, as well as clothing and medical care. At our time of volunteering, there were around fifty young monks, ranging from ages five to seventeen. For 700 NPR a night (roughly $8.50 AUD), we were provided three meals, a bed, and the option to volunteer with the young monks. While organizing our volunteering, we worried about if the monasteries would have any issues with an unmarried couple. Thankfully, it never seemed to be an issue with the older Monks managing the monastery, however, out of respect, we not display any public signs of affection in front of the monks. Our accommodation was two single beds in a room on the fourth floor. For those who have travelled through Asia before, the beds are nothing less than rock hard. Our room was clean and simple, with a window looking out over Kathmandu. The bathroom facilities are clean, though without hot water, and all volunteers share the bathrooms. Surprisingly, cold showers are another thing that we got used to quickly. By the end of our stay, we were barely concerned with it. Meals were generally dhal bhat, a Nepalese dish of rice and lentil soup and milk tea—a very sweet, extremely popular Nepali tea. They served breakfast at 7am, lunch at 12pm, and dinner at 6pm. We taught three one-hour lessons a day for Levels 1, 2 and 3 (based on their English, maths and reading knowledge). Volunteers teach as a group, with generally one ‘leading’ the lesson, and the others sitting with the monks one on one to help with any difficulties. Before our arrival there were about six volunteers, however whilst we were there many left and it was just myself, my partner, and a Canadian girl. Her presence was incredibly helpful as she had been there before we arrived, so she knew how the programme worked. The week is split from Monday to Friday with different classes for each level, ranging from Math’s, English reading, English speaking, and English writing. These classes are taught entirely by volunteers—such that if no volunteers are in the monastery, the monks do not attend English classes. Neither my boyfriend nor I had any teaching experience, however we found it relatively easy given that we had Michelle, the Canadian girl, to help with forming elementary lesson plans. 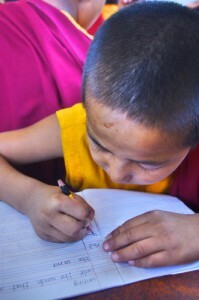 The young monks ranged from very studious to very cheeky, as any class of children will be. We found teaching the lessons extremely enjoyable, though learning everyones’ names was the most difficult task! I would also recommend bringing along plenty of stickers. The promise—or threat!—of stickers would render an entire classroom silent. After classes are over for the day, volunteers are free to leave the monastery and explore the surrounding region—the Boudhanath Stupa (an incredible temple) is within walking distance—with plenty of shops, cafes, and interesting surrounds. There is also a convenience store nearby to stock up on extra food and drinks. Overall, we stayed at the monastery for two-and-a-half weeks—little had we known before that we wished it could have been longer. The young monks are incredibly vibrant characters, and quick to take a warming to any volunteers passing through. There is also the open invitation for any volunteers to sit and watch puja, a morning and evening ceremony of Tibetan chanting and instruments—a truly amazing experience. Though we never made it to the morning puja at 5am, we did attend the evening session. The young monks’ dedication is truly inspiring. Though they play and act as children, they do their Tibetan and religious lessons with a maturity seemingly beyond their years. It was an experience myself and my partner will never forget, and we hope to one day return. Even if you don’t have the time to volunteer personally, any donations to the monastery would enable them to buy more English books, more school materials, and better resources. Our departing gift of a football was well-loved by all the monks. I could not encourage anyone more to travel and volunteer. Though I had spent years backpacking around the world, I feel that volunteering added a completely new aspect to exploring, learning, and experiencing a culture entirely different from my own. It was an experience I will always be truly grateful for, and one which I intend to continue. A huge thanks to Charlotte Montgomery for sharing her journey and specifics on how she was able to find independent volunteering opportunities in Nepal! If you’d like to read more about their journey, she and her boyfriend share stories from their travels on their blog, Wanderlost 2014. And even if volunteering won’t fit into your trip, considering supporting the monastery as a social enterprise and use it as a guesthouse for your Kathmandu explorations!